Demo Rath R4 Bb Tenor Trombone. 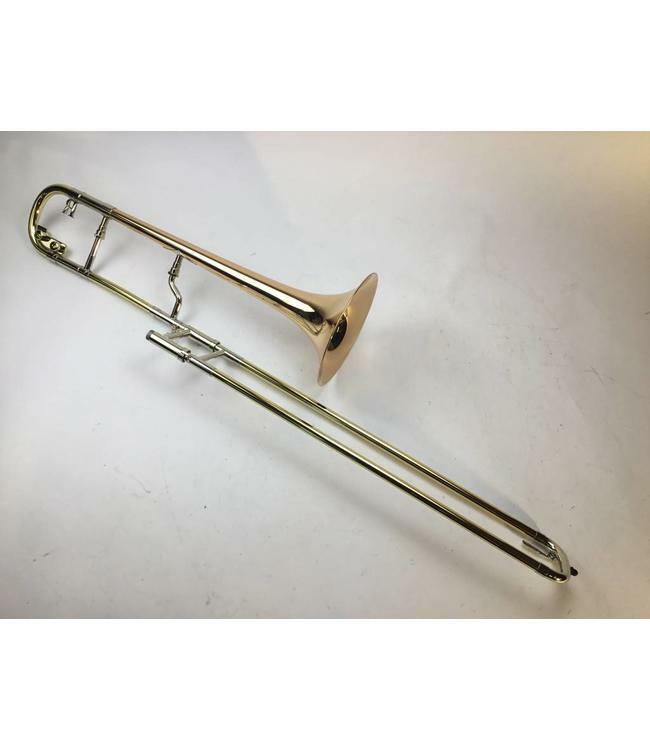 This Trombone has a single bore .547 wide yellow brass hand slide with a 41B leadpipe, a straight R4 goose neck, a yellow brass tuning slide with fixed counter weights, and a 8.5" gold brass bell. This trombone is in great conditions apart from some scratching on the bottom crook of the hand slide and some small scratches in the in the bell flare. There is a very small acid bleed in the bell flare and a dent on the mouthpiece receiver area. Other than the small perfections this horn is in great condition.